Thanks to Vice President of India for wanting to build Ram rajya of Gandhi’s dreams which will be egalitarian and non-sectarian. [i] But as a senior RSS cadre and ideologue he must share with the nation what is his take on the criminals who murdered Gandhi and claimed to have been led by the politics of Hindutva. 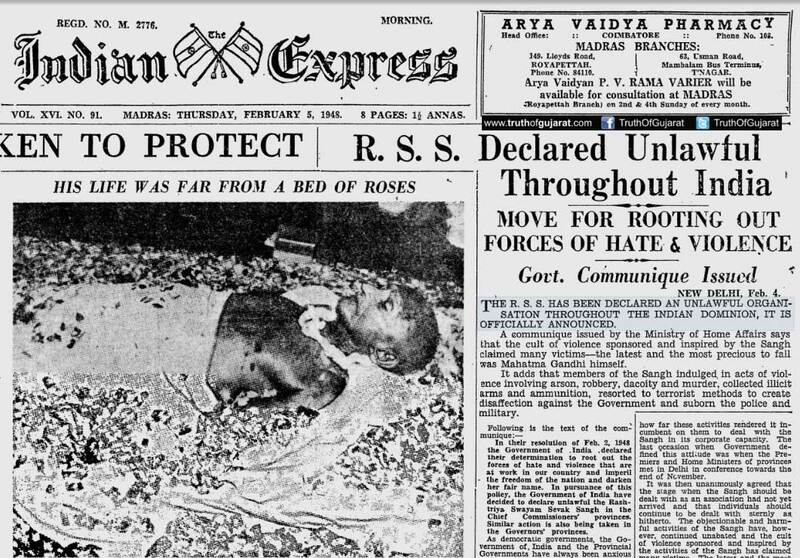 He must also comment on the following words of Sardar Patel, the then home minister of India, which he wrote in a letter to GOLWALKAR, the then Boss of the RSS on 19 SEPTEMBER, 1948, “the RSS men expressed joy and distributed sweets after Gandhiji’s death”. Naidu ji you will act as VP of a democratic-secular India or RSS pracharak. Kindly enlighten all of us which side of the divide you stand! [ii] Cited in Justice on Trial, RSS, Bangalore, 1962, pp. 26-28. [iii] Letter 64 in Sardar Patel: Select Correspondence1945-1950, volume 2, Navjivan Publishing House, Ahmedabad, 1977, pp. 276-77. In the eyes of Gandhi, the word ‘ ram ‘ denied secularism. He was never against other religions. Even in his prayers, he said, ‘ eeshwar Allah Teri naam ‘ indicate communal harmony.